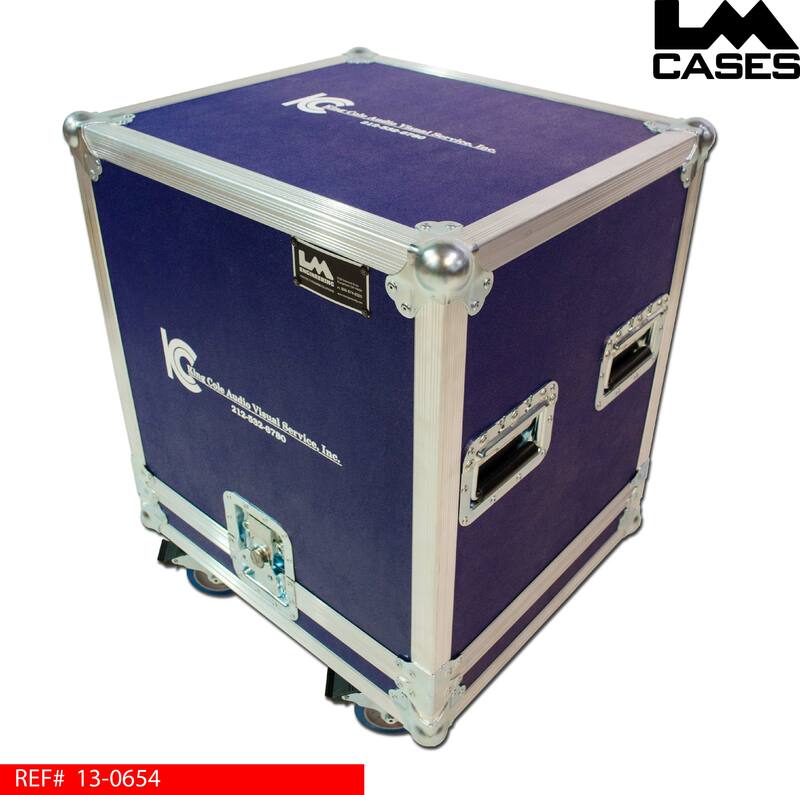 This case was designed for King Cole Audio Visual. The case is designed to provide a easy portable solution to carry cables in camera rental applications. 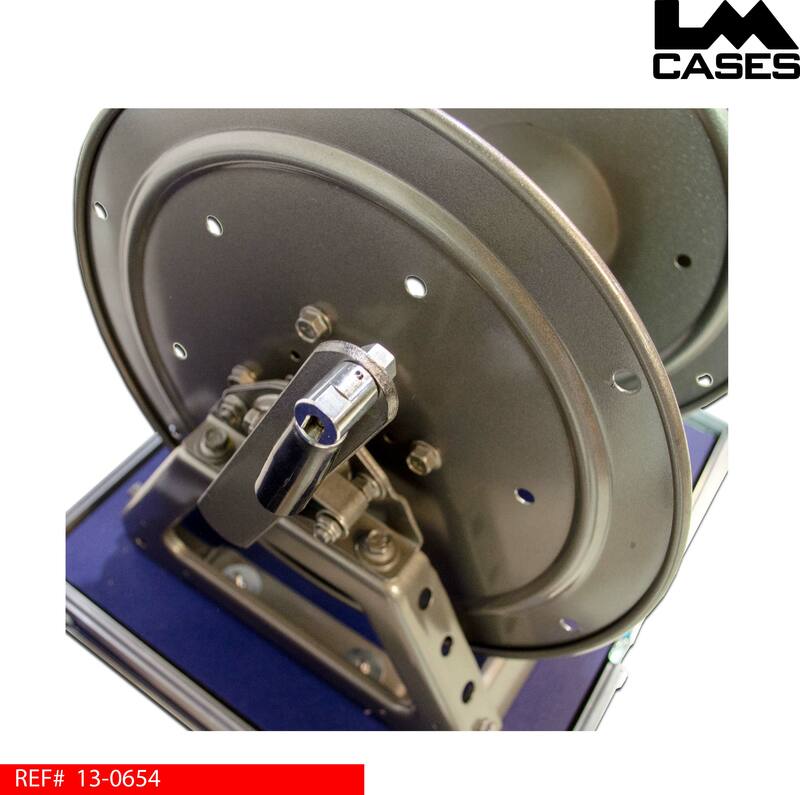 The LM Cases Custom Integration department installed a Hannay C1520-17-18 reel with a slotted divider to hold the cable. 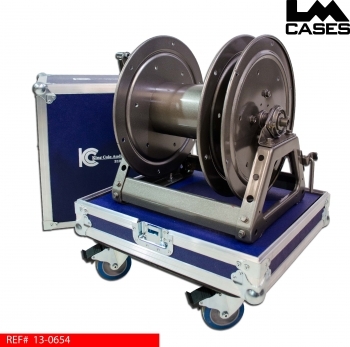 The CI department upgraded the reel handle to a more robust foldable version to reduce the case size and provide a stronger handle. The exterior case is built out of 3/8" plywood laminated with dark blue ABS plastic, 4" Colson casters, and a silkscreen of the KCAV logo. Special thanks to King Cole A/V!